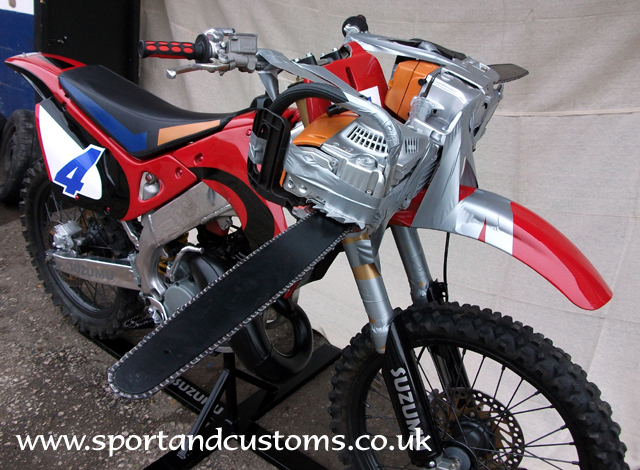 to replicate the deadly motocross bike featured in the Zombie killing game - Dead Rising 2. 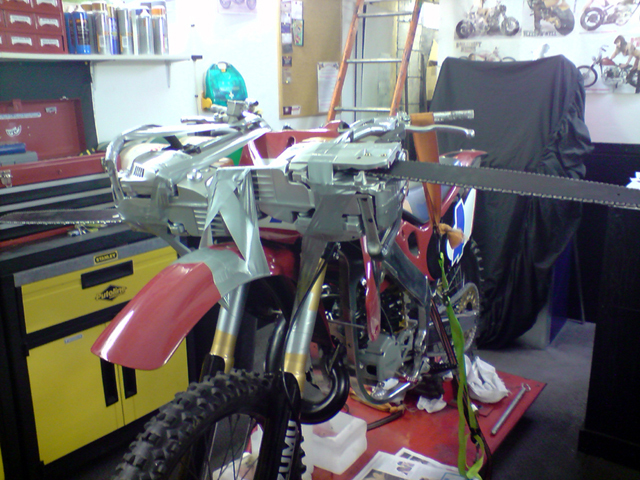 We built the Dead Rising bike whilst under our old company name: Purissima Corse/Sport & Custom Motorcycles and at our old business location. 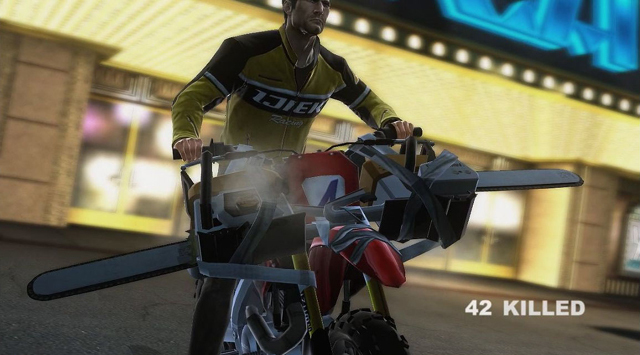 The bike is to be used and featured for promotional purposes around Europe to coincide with the X-Box and PS3 release of the game. 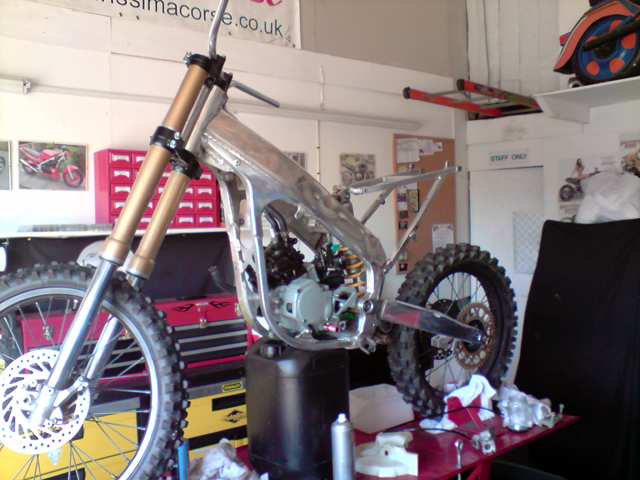 We search the options for a donor bike to break down and start to re-design and build from the ground up. 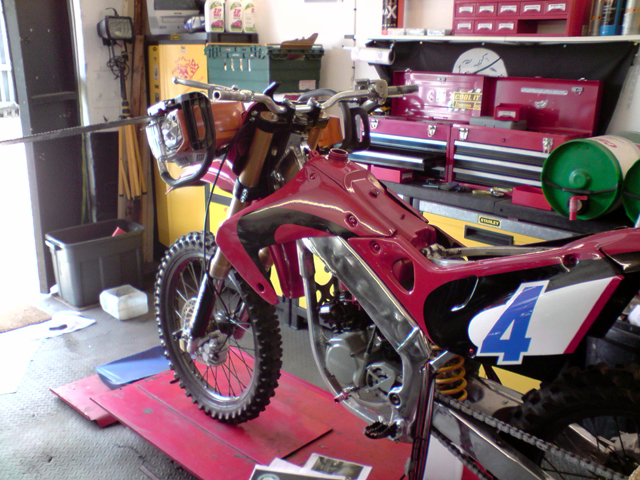 We finally found the right bike to the job. 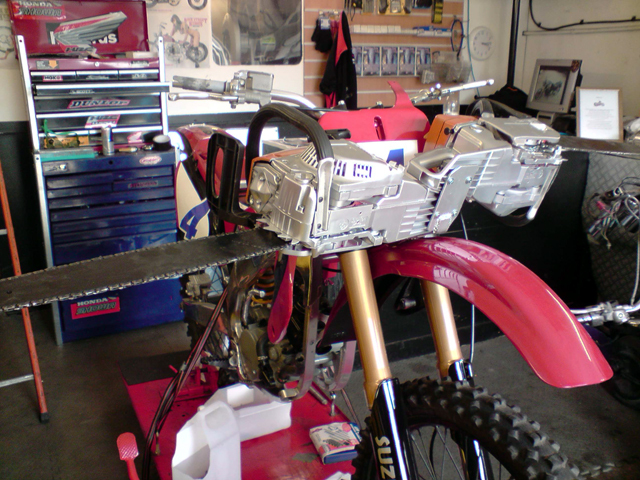 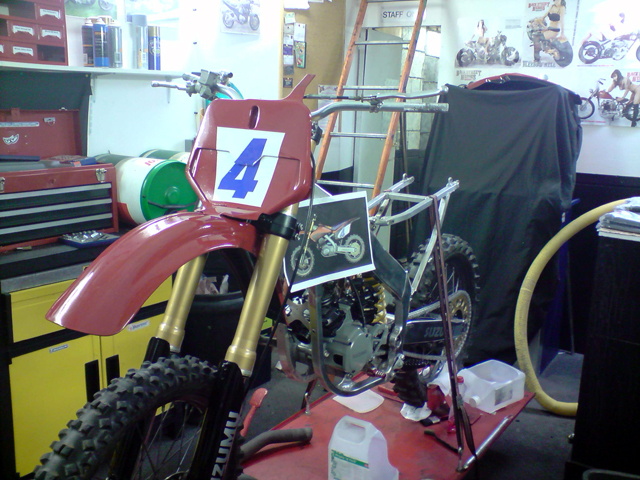 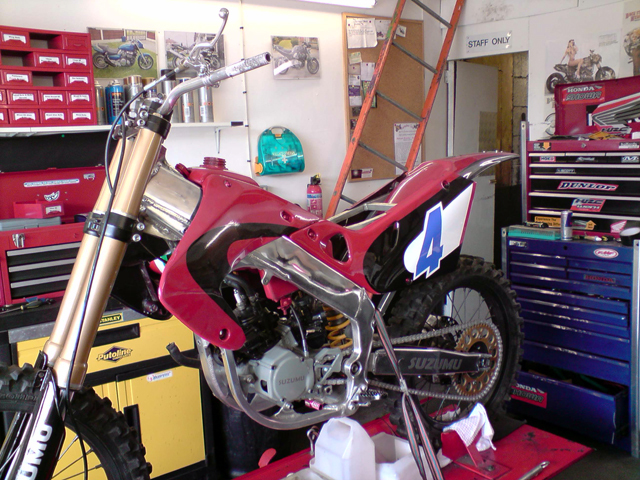 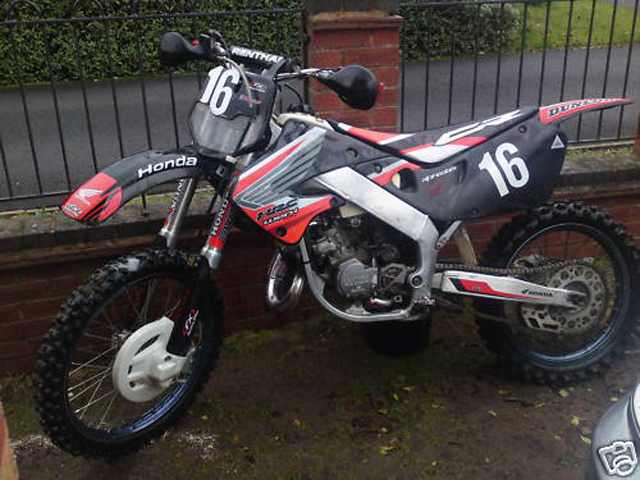 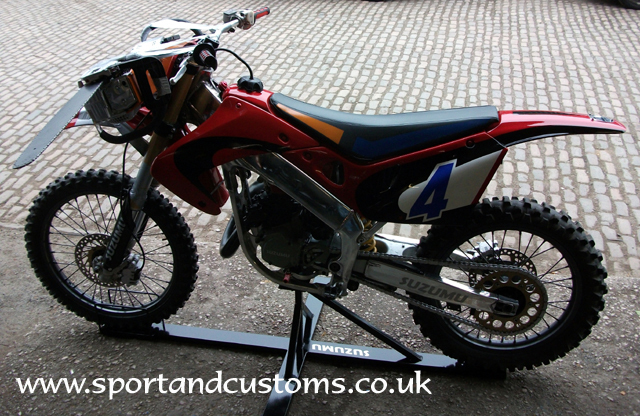 So the build was based around a Honda CR Motocross bike. 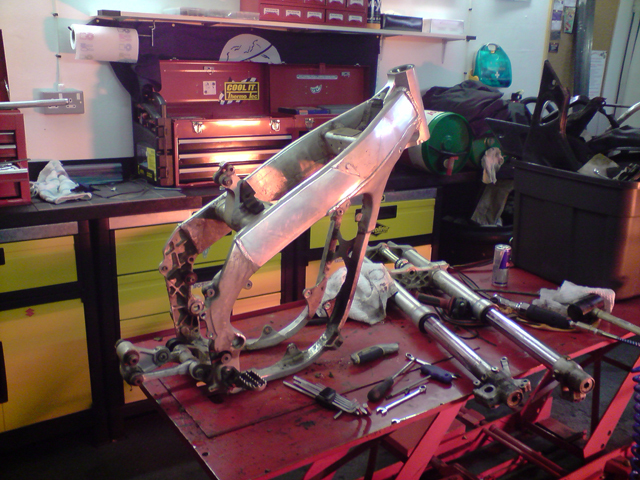 We break the bike completely ready to create from scratch. 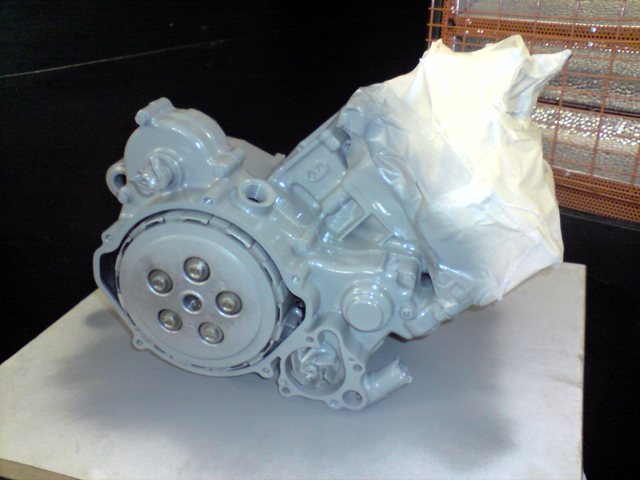 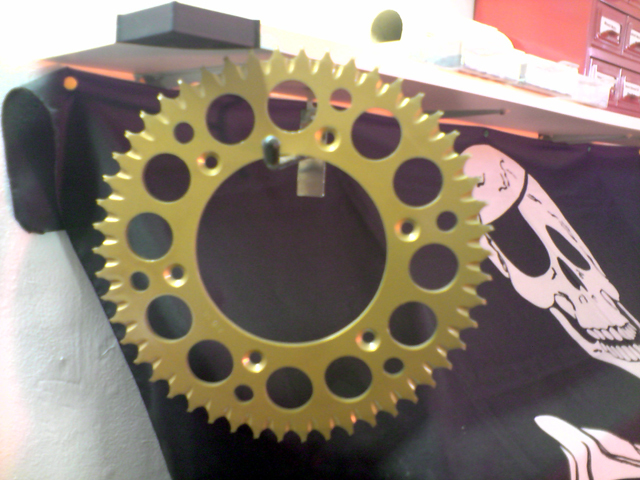 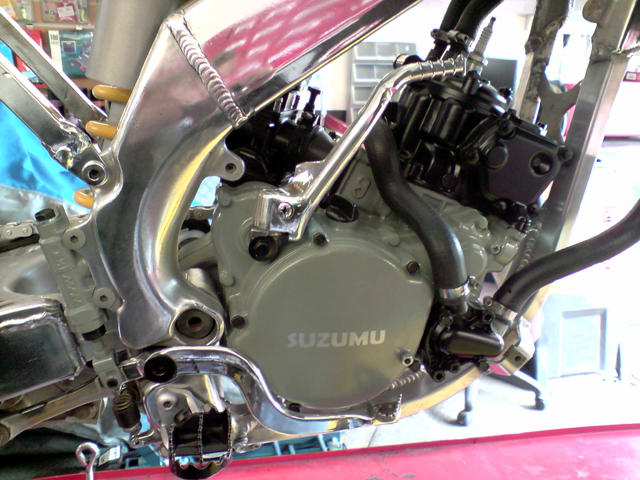 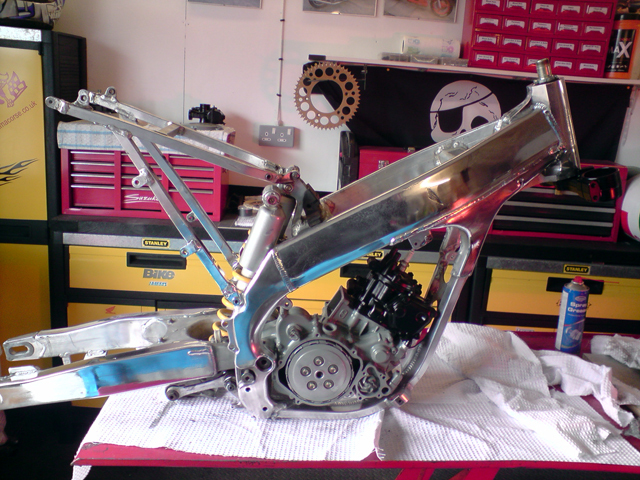 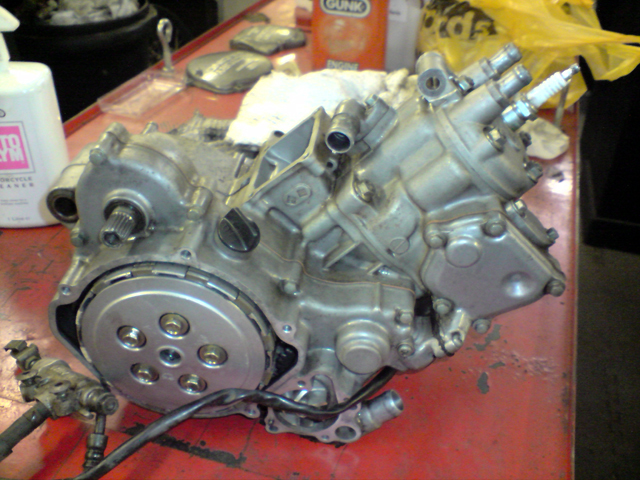 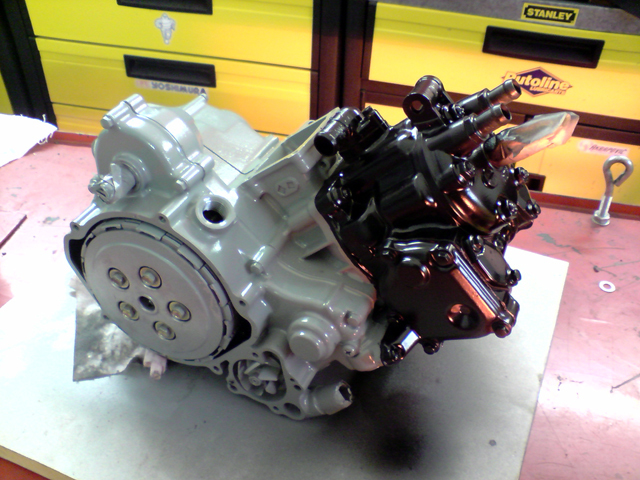 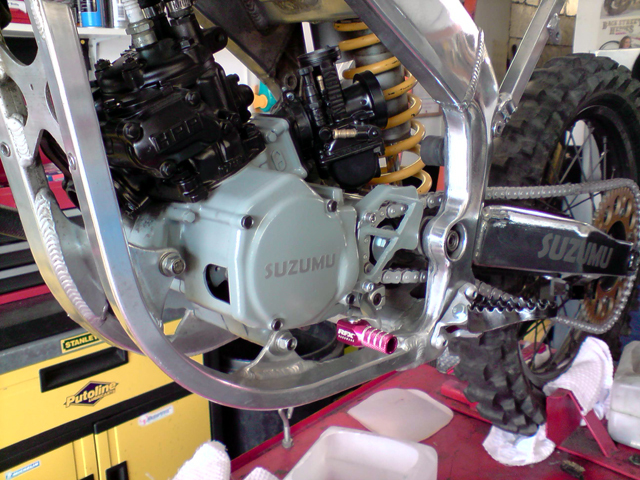 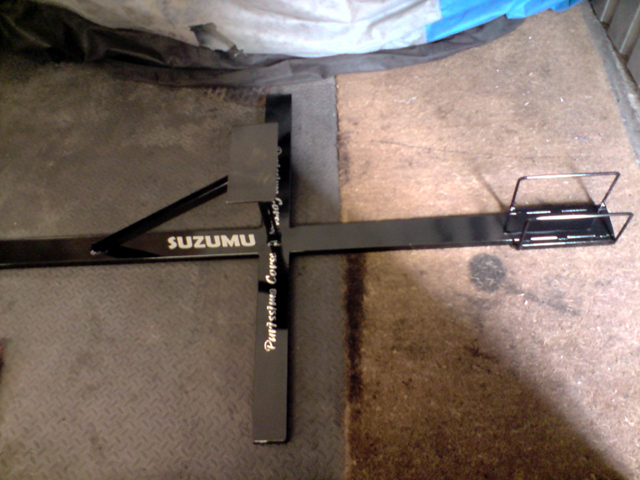 Engine is stripped, prepared and finished in ultra smooth enamel, perfect match of the in-game bike colours. 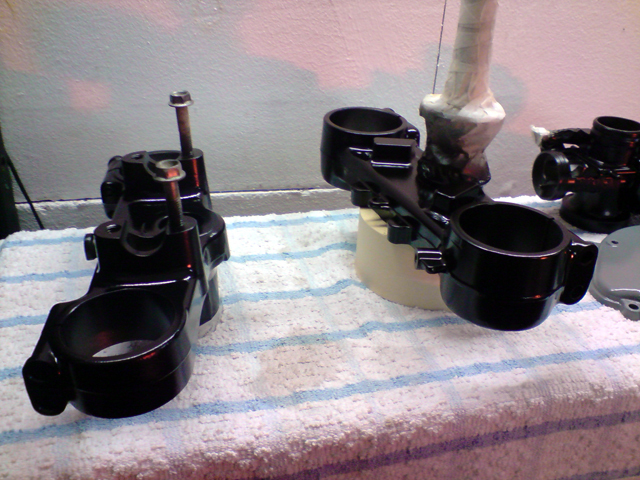 Top and Bottom fork yokes are prepared and finished in ultra smooth enamel paint. 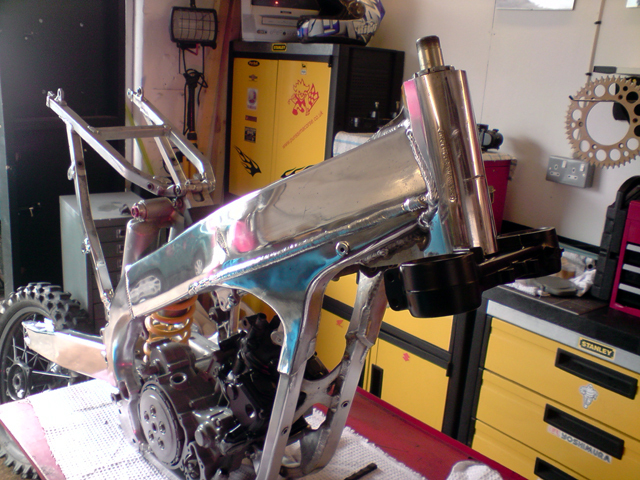 Moving onto the Gold items featured on the bike. 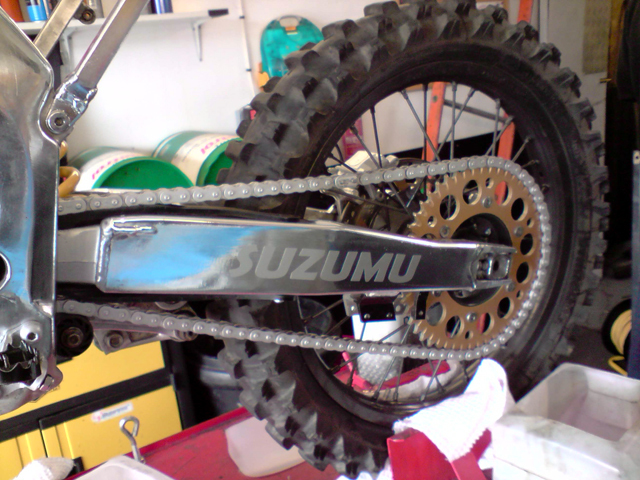 Sprockets, Brakes discs and forks. 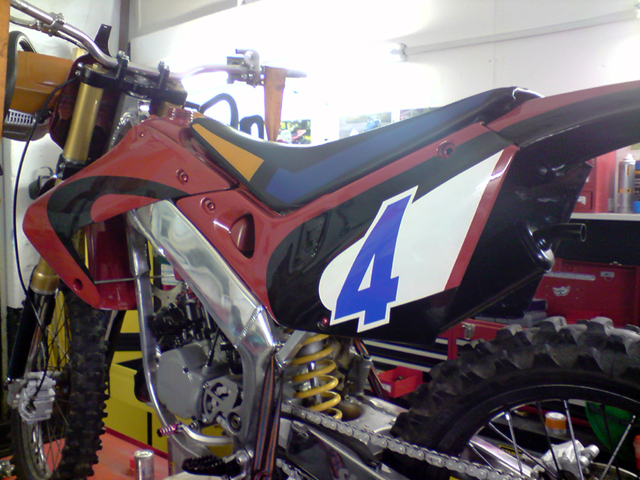 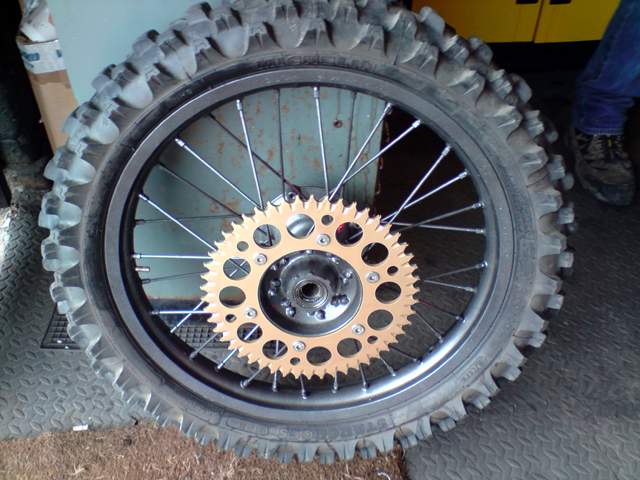 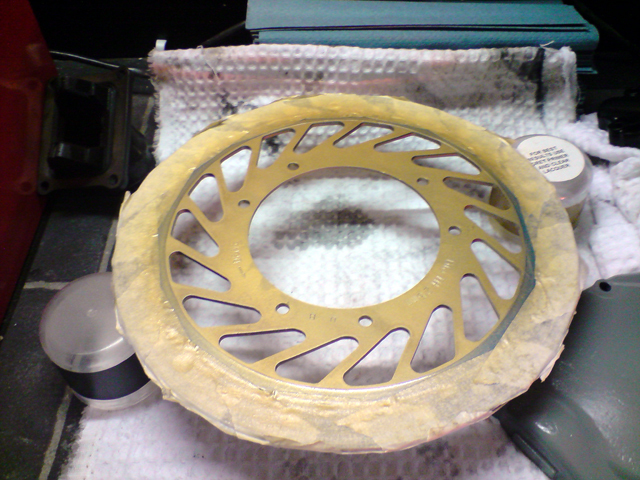 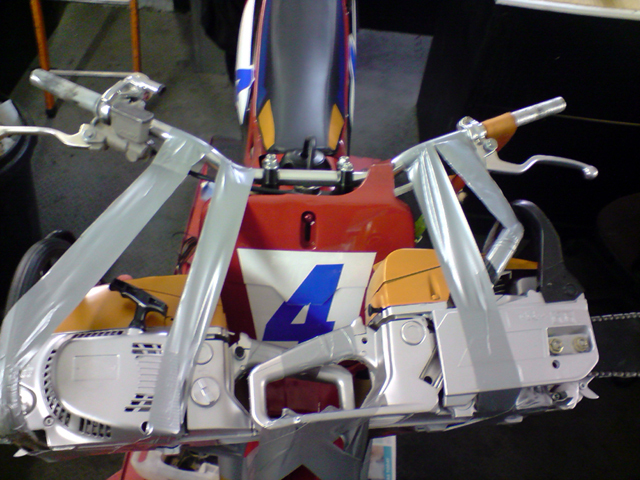 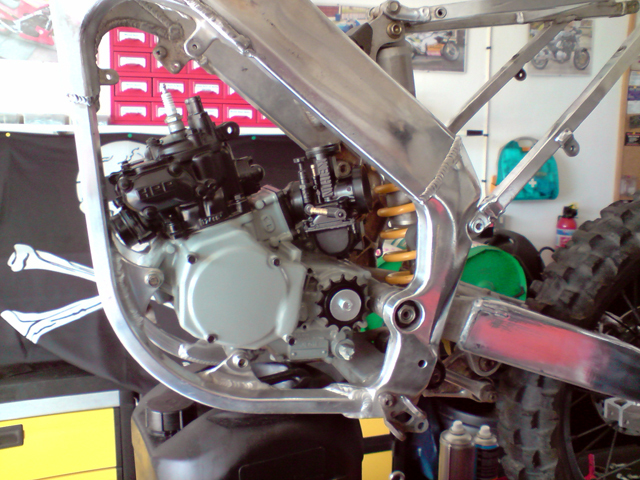 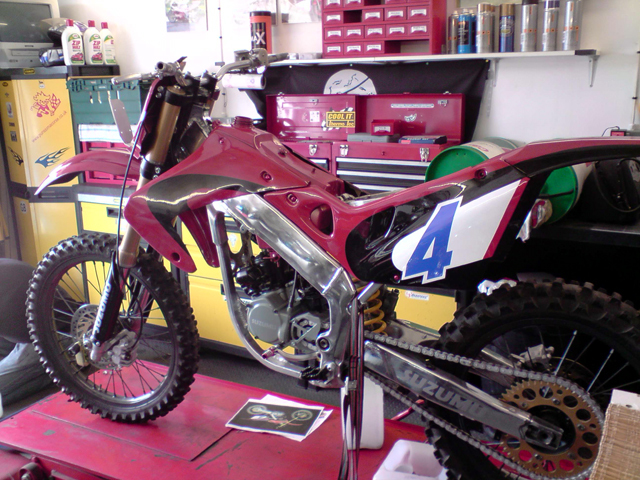 Although the computer generated game bike has alloy looking wheels, in 'real life' motocross bikes have spoked wheels for strength. 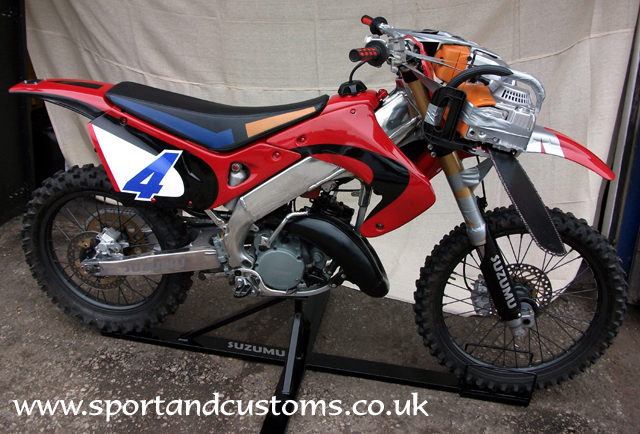 With this in mind the wheels are stripped, prepped and finished in Dark Grey enamel with a hint of metallic to colour match the games bike wheels. 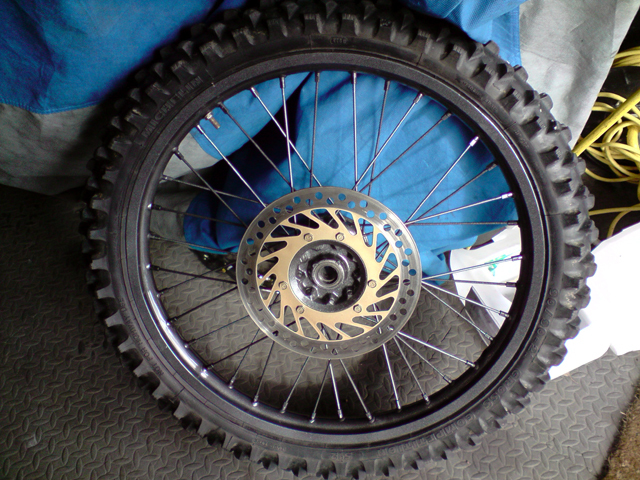 Tyres, rear sprocket and the front & rear brake discs refitted. 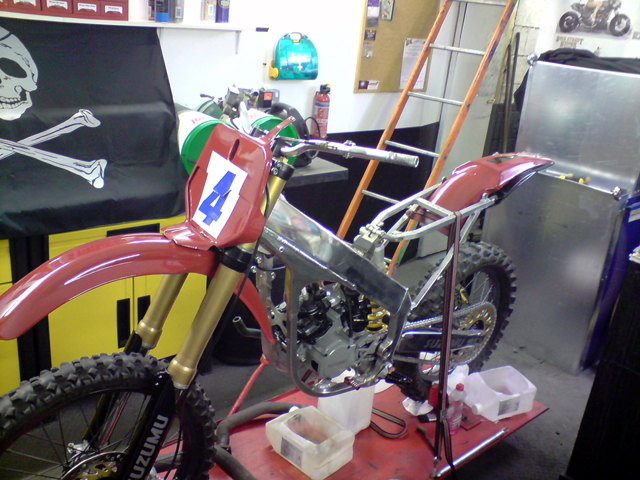 The finished bike... 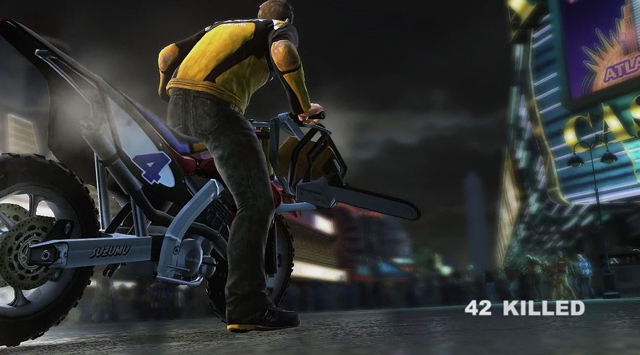 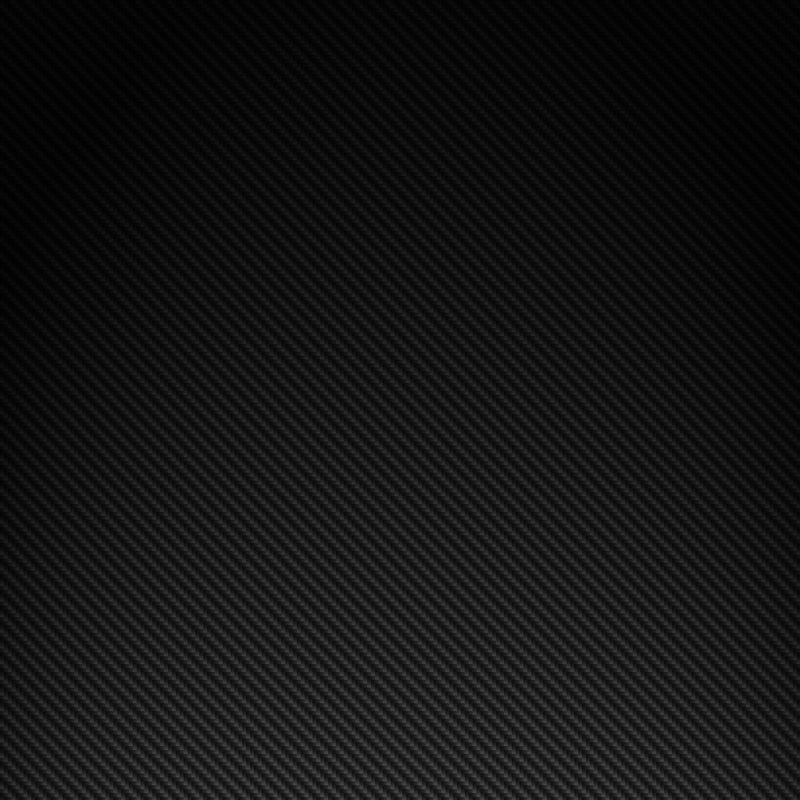 This is - "Dead Rising"